I created the Teach Social Business site, initially, as a place to aggregate and share information related to my occasional conference and workshop presentations on topics related to social media marketing and strategic communication. I didn't share the site outside of my the conference presentation context because I knew I wouldn't be keeping the site updated regularly. I'm in the midst of updating and revamping the site to make it a more comprehensive resource for anyone interested in learning more about social business. I'll be sharing a lot of the content I've created for a college course I call social media practices. I wish I could have included the words “social business” in the course title or description, but since the course was housed in a journalism and mass communication program I was not permitted to use the word “business” in my course title. Silos. Summary results of the student course evaluations for this course and several others I've taught are available in this spreadsheet on Google Drive. In the meantime, I thought I'd use this portfolio page to share some resources related to the course. 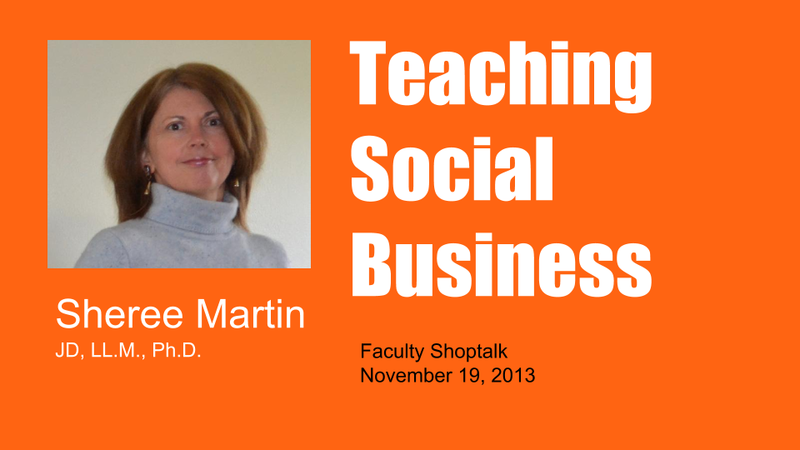 First up, a faculty shop talk I gave last year explaining my approaching to teaching social business. After the video embed, you can find my most recent syllabus for JMC 380: Social Media Practices (Fall 2014), followed by a poster I presented at the annual meeting of the Western Social Science Association (2013) and the slides for a presentation I gave to the Mass Communication division of the WSSA at the same conference. The post shown above was presented in the poster session and it focuses on a particular segment of the course–development of a content marketing strategic plan. I also presented a paper about the overall course structure to the Mass Communication Division. Here's the slide deck for that presentation based on the course structure at the time. As might be expected, given the rapidly changing world of online business, I have since made several changes to the course assignments and readings.